Welcome to our complete list of cruises from New York, NY in 2019. If you know when you'd like to leave, this is the best way to see what's available. 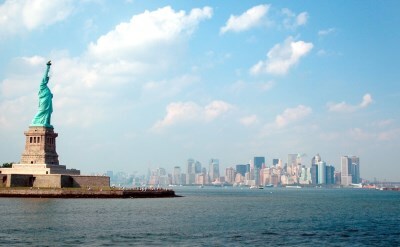 Enjoy one of the cruises from NYC. The cruises on these pages depart from the cruise terminals on Manhattan, Cape Liberty Cruise Port (NJ) and from Brooklyn. April 2019 cruises from NYC: Bermuda cruises from New York begin in April, and there are also journeys to the Bahamas, England and Spain. May 2019 cruises from NYC: In May many cruises go to Bermuda. Other destinations are England, Canada and the Netherlands. June 2019 cruises from NYC: In June you can sail from NYC to Bermuda, Canada or Germany. 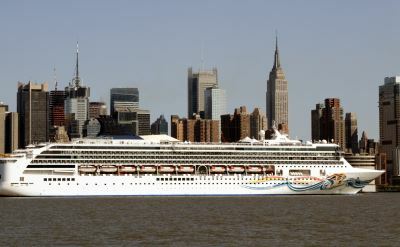 July 2019 cruises from NYC: 15 cruises leave in July. 10 go to Bermuda, 2 to Canada, 2 to England, and 1 to Iceland. August 2019 cruises from NYC: The August schedule includes an unusual cruise to Greenland. Also included are cruises to Bermuda, Canada, and England. September 2019 cruises from NYC: Most September cruises are to New England & Canada. October 2019 cruises from NYC: October is a busy month of cruises to Canada, Bermuda, and the Caribbean. November 2019 cruises from NYC: Choose from cruises to the Caribbean, Bermuda and England. December 2019 cruises from NYC: Cruises to the Caribbean or Bahamas.